Técnico has been developing a strategy to promote students’ innovative character and entrepreneurial spirit. The IST Spin-Off® community was created in November 2009, to publicise success stories in business field began in some manner within the school’s wall. To promote collaborations and relationships between companies with school-related origins, to strengthen these companies’ links with Técnico, and to encourage students and researchers to create even more companies are other goals of the community. The IST Spin-Off® is a national trade mark registered by Técnico, and IST Spin-Off® members are allowed to use the mark in accordance with established protocols. Action Modulers – Consultadoria de Segurança, Lda. We had a simple dream: build a reference company in computer vision technology. Our intention was to create the most suitable solutions for video surveillance and image processing in a demanding market looking for quality without compromise. In the last ten years we deployed the most demanding security solutions for end-users such as the Portuguese Central Bank, the Portuguese Armed Forces, the highway operator Brisa, Portugal Telecom, and we reached 25% of market share in Shopping Center security technology. ANDITEC – Tecnologias de Reabilitação, Lda. 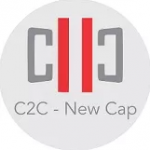 Biotrend – Inovação e Engenharia em Biotecnologia, S.A.
C2C-NewCap was founded in 2014 to solve this problem by bringing a new Electric Double Layer Capacitor – EDLC or Supercapacitor – to the energy storage and energy conversion market, the C2C-NewCap.This technology holds a large range of applications from Heavy Truck engine cranking and hybrid traction passenger vehicles to wind turbine pitch control or even utility grid peak shaving. The history of the company dates back to 2005, with a group of engineers from the Institute of Telecommunications, University of Lisbon. This team created the BITalino, a low-cost toolkit that allows anyone from students to professional developers to create projects and applications with physiological sensors. Launched officially on August 15th, 2013, it is scattered throughout the world, including world renowned institutions such as the MIT, Stanford University and the University of Florida. BITalino was licensed to a private portuguese company. The company CardioID was founded in April͛ 2014, has won already distinguished awards: 2014 BES Acredita Portugal award for Best Innovation, the 2014 Lisbon Awards for Best Technology. Its breakthrough CardioWheel solution has gained worldwide recognition, with several interested market technology suitors, including top automotive supplier Bosch which has chosen to exclusively work with CardioID in seeing CardioWheel successfully exploitation and commercialization. The company team is formed by engineers in the critical areas of the company – biomedicine, electronics and data analysis, and also includes an economist with +15 years of consolidated experience in the electronics and automotive industry, responsible for the conduct of business and marketing strategy. 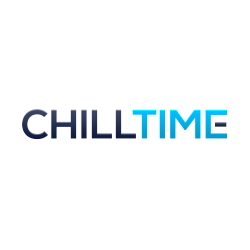 Chilltime is a Technology and Product Innovation company, which builds solutions within the B2C segment. 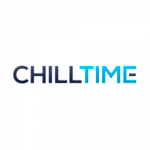 We develop and commercialize in-house products (video games and apps), as well as conceptualize, build and grow products in joint-ventures as a technology partner. Est. 2007. FrontWave – Engenharia e Consultadoria, S.A.
Hidromod – Modelação em Engenharia, Lda. IdMind — Engenharia de Sistemas, Lda. Infosistema – Sistemas de Informação, S.A. MIND – Software Multimédia e Industrial, S.A.
NWC – Network Concept, Lda. Plux – Engenharia de Biosensores, Lda. selfTech – Engenharia de Sistemas e Robótica, Lda. SISCOG – Sistemas Cognitivos, S.A.
TECMIC – Tecnologias de Microelectrónica, S.A.
Terraprima – Serviços Ambientais, Sociedade Unipessoal, Lda. UAVision Engenharia de Sistemas, Lda. VoiceInteraction – Tecnologias de Processamento da Fala, S.A.
Ao Sol – Energias Renováveis, S.A.
Coreworks S.A. is a provider of Intellectual Property cores for digital signal processing. Coreworks’ products rely on SideWorks, a patented technology for creating reconfigurable hardware accelerators, used in smartphones, tablets, set-top boxes, HD/UHD TV, etc. Est. 2001. Closed 2017.
iNok – Noksys informática, S.A.